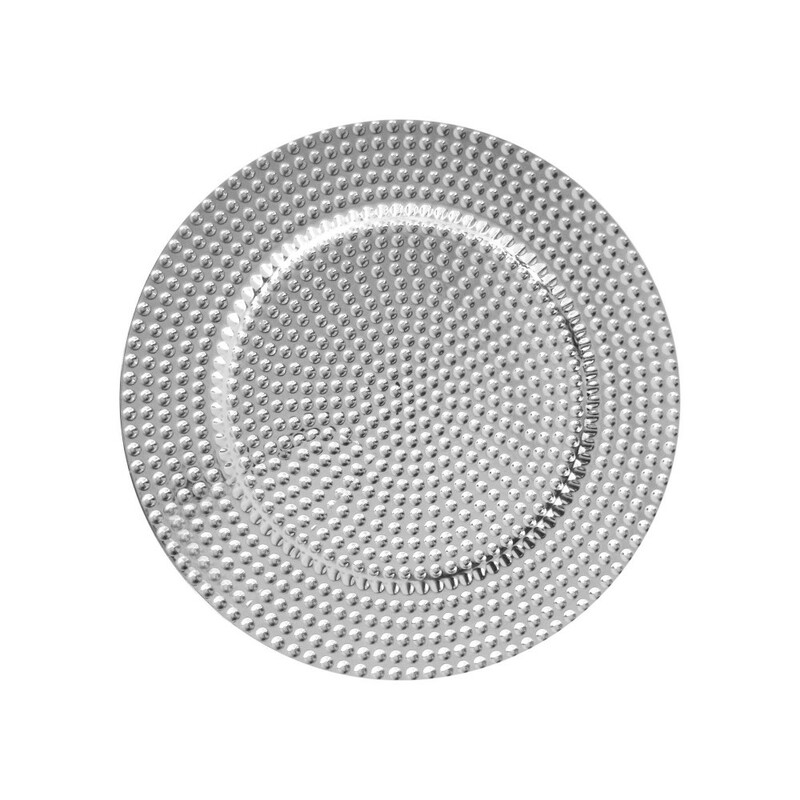 ChargeIt by Jay Silver Beaded Round Melamine Charger Plate 13"
Home > Products > ChargeIt by Jay Silver Beaded Round Melamine Charger Plate 13"
Add an elegant touch to your upscale table setting with the ChargeIt by Jay Silver Beaded Round Melamine Charger Plate 13". Beautifully accented with a beaded rim, this charger plate adds extra detailing, making it a stylish addition to any banquet or wedding reception. Combining unsurpassed elegance and outstanding durability, this charger plate is made from premium quality melamine that is lightweight and shatterproof, perfect for multiple use. The perfect harmony of form and function, this piece complements any dinner setting and protects against spills and mess that might stain your tablecloth. For proper care and maintenance, hand washing is highly recommended.